The above products are recommended for installation or mounting of the Threaded Crimp Fitting - VR306. The Threaded Crimp Fitting is a standard component in many of our wood and metal post cablerail tension Kits. It is crimped to the end of a cable and threaded into a Tension Receiver to terminate a cable run at an end post. The Threaded Crimp Fitting has a pair of notches on the crimped end so that our Tightening Tool can hold the fitting in place while the Tension Receiver is tightened. Even though this part can’t be seen once installed, it is made from beautiful, marine-grade 316 stainless steel for strength that will last. The Threaded Crimp Fitting (VR306) can be found in the following Kits: Level Tension Kit (VR290), Angle Tension Kit (VR294), Wood Level Tension Kit (VR295), and Wood Angle Tension Kit (VR299). Is this 3/8” thread? I need this for a 1/8” cable. It’s for a corner on your metal railing posts I bought. This product will not perform as designed with 1/8″ cable. 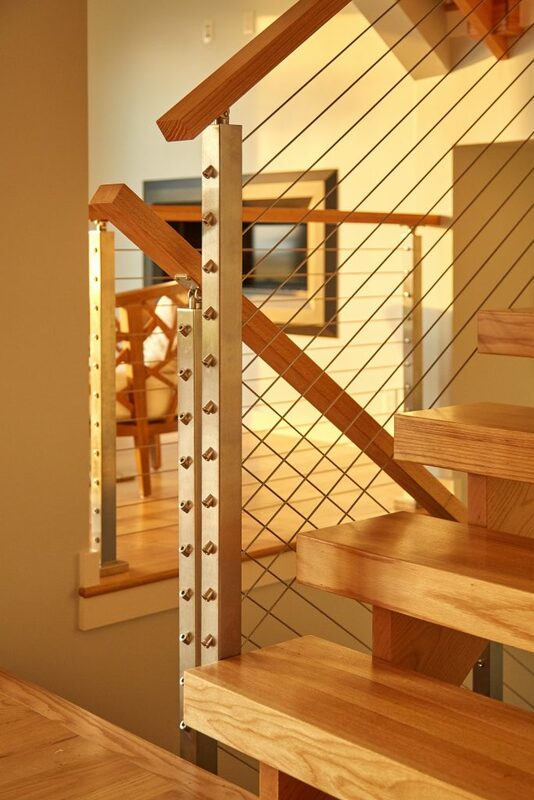 All of our cable railing components are designed to work with our 5/32″ cable, and ONLY our 5/32″ cable.